Leading Exporter of double drum rollers, large asphalt compactors, used jcb vm 850 road roller, vibratory rollers and soil compactors from Chennai. We have expertise in trading, exporting and supplying a wide range of Double Drum Rollers. The offered roller can apply uniform pressure on all sides of the application surface. This roller is designed at vendor’s end using high-grade material and sophisticated technology in compliance with the set industry standards. We are an eminent trader, exporter, and supplier of a comprehensive assortment of Large Asphalt Compactors. Our offered compactor is designed using advanced techniques as per industry norms. This compactor is provided in numerous specifications to choose from. Additionally, our provided compactor is available at nominal rates. 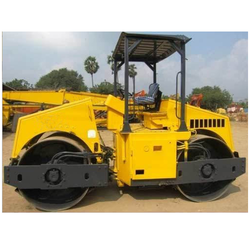 We are a trusted brand for used and refurbished JCB VM 850 Road Roller of major brands. We deal with all major brands of construction equipment like Excavator, Bull Dozer, Motor Grader, Wheel Loaders, Cranes, Soil Compactors, Slope Vibratory Rollers and related products. 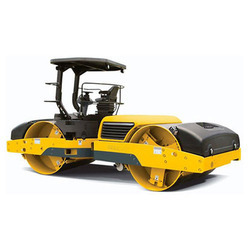 Our well-established organization is indulged in offering a precisely designed collection of Vibratory Rollers. Our roller is checked in terms of quality in order deliver a flawless range. 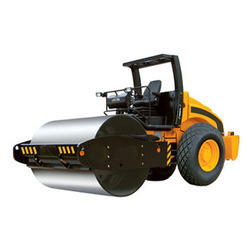 We are offering this roller in different specifications as per the customer’s specific requirements. They are used for digging soil consumes less energy, offered roller drum is designed with premium quality material at vendor’s end. We are engaged in trading, exporting and supplying an enormous range of Soil Compactors. The offered compactor is tested before dispatching to customers. This compactor is well known in the industry for its perfect finish. The offered compactor is well designed keeping in mind the quality norms using cutting-edge technology.